It’s an open secret that New Delhi, the capital of India is not a safe haven for women, and why should we talk about New Delhi, can we name one Indian city where we can say that a girl is absolutely safe, whether she is alone or with someone at any point of time. The answer will be negative because we Indians as citizens don’t understand the importance of taking initiative for creating such an environment. We speak only when someone who is our dear one is in trouble, otherwise we are least cared what is happening with someone even in front of our eyes. One such incident took place in the capital of India where on a traffic signal, with almost 20 people around there, a male made a vulgar comment on a girl and when she threatened him that she will file a complaint, then instead of being afraid he was warning her of the consequences. The surprising fact is that a city where people are extra excited to come out with candles in their hands to protest for a cause, 20 people who saw everything happening didn’t even mince a word in support of the girl. 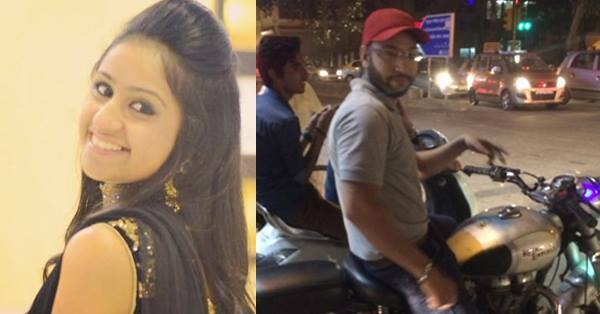 Jasleen Kaur was walking down the Tilak Nagar Street when a bike rider made a vulgar comment. When Jasleen took his photograph and threatened him that she will make a complaint against her, he in return warned Jasleen of the consequences that she may face if she make a complaint. Jasleen was not only shocked at the courage of the biker but also at the cowardice of the 20 people standing at the signal who witnessed the whole incident. She decided that she will take action; even she has to fight alone and reported the incident at Tilak Nagar Police station, as per the head constable the action is being taken on Jasleen’s report. Police is making effort to find the person with the help of the photo taken by Jasleen and the bike number. If you see this person anywhere near you, call the police and for god sake if you witness an incident like this, do speak up and help the girl, because someday it may be a lady from your house also facing the same situation. As per the latest reports, the girl is awarded a prize money of Rs. 5,000 by Delhi police.